The Chrysler Car Show is happening in Carlisle this weekend. 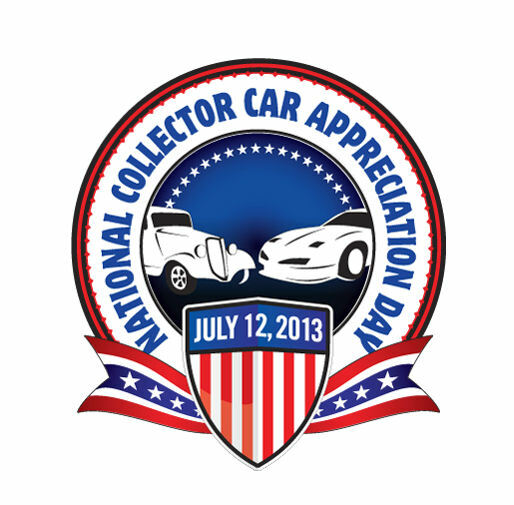 July 12th is National Collector Car Appreciation Day! We appreciate our car collectors who stay with us at Pheasant Field B&B. Fireflies & Bullfrogs! Those are just two things that tell me summer is here. There is nothing quite like sitting on the front porch swing at dusk and watching the fireflies do their lightening/courting dance. Come to Pheasant Field B&B for a relaxing time this summer! Today we stacked 200 bales of hay in our 200-year old barn. It may be summer now but the grass will turn brown in a few months and the horses will enjoy the wonderful timothy hay we stored away for them today. ...all in a day's work at Pheasant Field B&B! This weekend we welcome Alumni from Dickinson College. Everyone is out tonight for the parties in town. Tomorrow morning one of our alums will go out for some fly fishing. So that means an early breakfast of waffles topped with fresh (just picked today) strawberries! Next weekend we look forward to welcoming our usual GM Car Show crew! Bobby Allison, a NASCAR legend, will be in Carlisle during the show next week. At the end of June, you can meet the real hero from the movie "Argo". The Carlisle Theatre will feature "Argo" along with a Q&A time with Tony and Jonna Mendez. This special event is a fund raiser to benefit the Theatre. June 1st is the date for Foundry Day in Boiling Springs. This juried arts & crafts festival has a 27 year history in Boiling Springs. The crafts are top quality, the setting is beautiful, the "fair food" is wonderful, and the day will be fun for all who attend. There will be some fun entertainment too. Don't miss this great small town festival with high quality crafts! Next weekend brings the FORDs to town for the Carlisle Ford Nationals. I have to admit that I am a bit partial to this show since I purchased my Ford Fusion Hybrid. I am now getting 40 MPG -- that's right! 40 MPG! ...ya gotta love it! The Carlisle Theatre has some wonderful events coming up! You can see "Les Miserables" on the big screen this weekend (Here's another "innsider" tip: attend movies at Carlisle Theatre for FREE when you stay at Pheasant Field B&B!). On June 7th, Chris Collins and the Boulder Canyon Band will present "A Tribute to John Denver". Take me home country roads - all the way to Pheasant Field B&B! Last weekend we hosted our first outdoor wedding and reception of the year. We really enjoyed this special couple and all their family! It was a very breezy day but with the sides on the tent and all the dancing, everyone felt the warmth of Gina & Dillon's love! 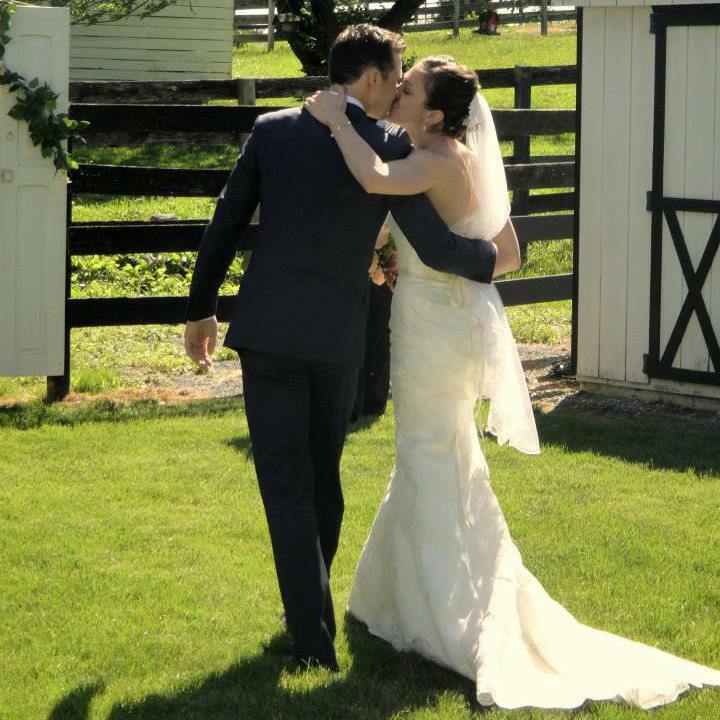 We wish Gina & Dillon many years of joy and love together! I'll post more wedding pictures on our FaceBook page when they are available. Mother's Day is just 2 weeks away! 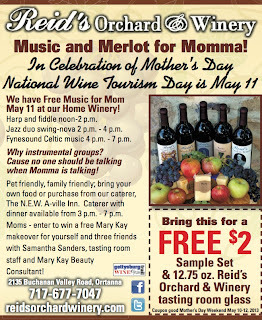 We have just a few rooms open for that weekend so it's time to reserve your room to treat Mom! Here are some ideas for you: Check-in at Pheasant Field B&B; Dinner at Boiling Springs Tavern; See a show ("Happy Days - A New Musical") at Allenberry Theatre; Sleep well and enjoy a full country breakfast at the B&B; Head off to enjoy the Wine & Fruit Trail where there is very special treat for Mom at Reid's Orchard & Winery. You can enjoy the tour of the apple orchards on your way to the winery and maybe take in some history around Gettysburg before returning to the B&B or heading home.